It is with a heavy heart that I have decided to end Sharing Saturday. I have seen a steady decline in the number of posts shared and have found that now there are consistently under ten posts. I am afraid it is not worth the time for the posts or for those of you who take the time to share with us. It saddens me to end this tradition as my goal has been to be a place where people can share ideas and crafts. I will be keeping Crafty Weekends going while there are enough entries. I know link parties have become unpopular because of the ever changing rules of Google. I started Sharing Saturday in October of 2011. Along the way I have had two co-hosts who stopped blogging for personal reasons and thus didn't stay with me. It is called Sharing Saturday because I started it on Saturday, however I use to do things with an Australian blogger and I got use to posting on her schedule a bit, so Sharing Saturday shifted to Friday night for me. There have been 369 Sharing Saturday link parties. I did take weeks off for holidays and some summers I only did once a month due to the lowering numbers of shares. Since we had seven wonderful people share last week I am featuring them all here tonight. I hope you will continue to read Crafty Moms Share and perhaps some day I bring back Sharing Saturday if link parties become popular again or I hear enough desire for it to come back. Thank you to everyone who has shared with us throughout the years. A special thank you to those that come back each week. 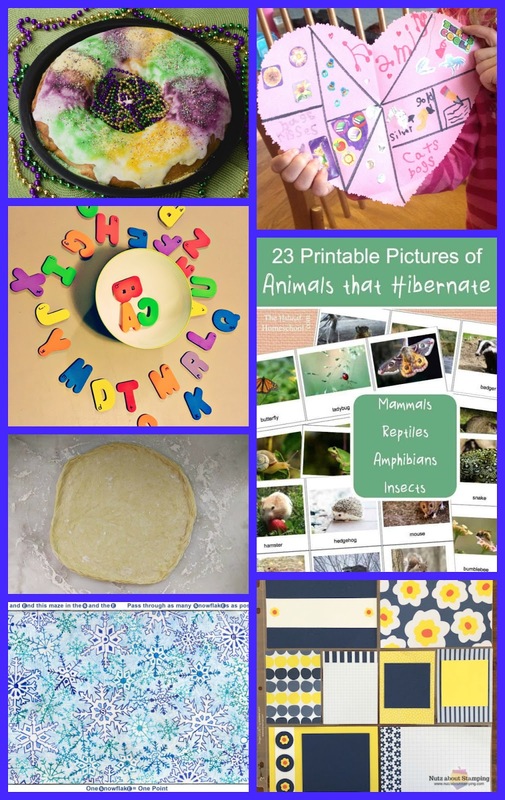 I am sorry to end Sharing Saturday, but hope you will share your crafts at Crafty Weekends and your multicultural posts at Creative Kids Culture Blog Hop. Now for some happy news. 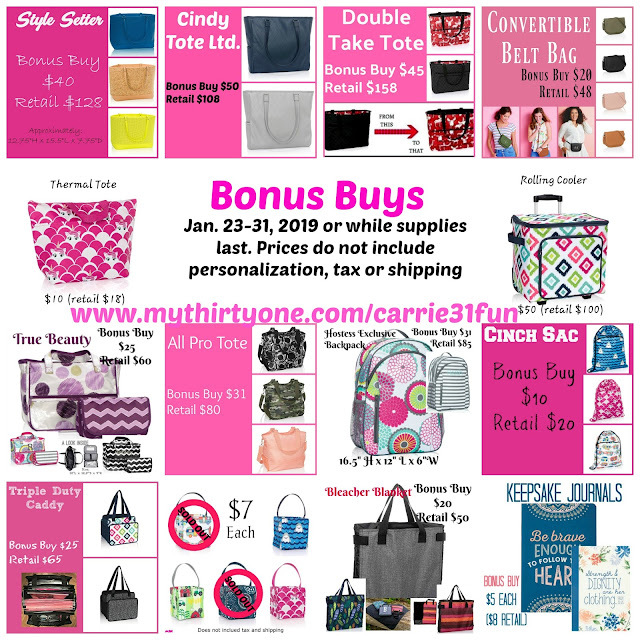 As a Thirty-One Independent Consultant I am happy to share with you the January Bonus Buys!! These are amazing deals and I hope you will check them out. Thank you for any support of my new business!